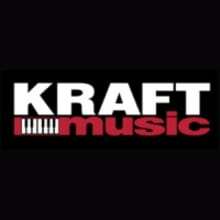 Kraft Music...Your music technology store since 1984. It has been more than 30 years since Kraft Music (or Kraft Keyboards, as some of you may remember us as) began serving musicians from all over the globe. The company was founded by Roger Kraft back in the late 1970s, and incorporated in 1984 as a boutique keyboard and synthesizer shop serving the Milwaukee-area. Today, Kraft Music has been listed as one of the "Ten Best Music Retailers" in the United States by Music Inc. magazine, and is owned and operated by his son, Ben Kraft. "Music is a big part of my family's life...my dad has played professionally his entire life (and still does! ), my mom is a retired music teacher and is the director of her church choirs, and my sister is an active opera singer on the East coast," says Ben, who is a hobby musician himself. In addition, many members of the Kraft Music staff are active musicians. "We're fortunate to have some of the most talented musicians in southeastern Wisconsin here in our buildings. They are a huge asset to our company, and to our customers." Ben began assisting fellow keyboard players thru online chat rooms, newsgroups and websites in 1994, making Kraft Music one of the oldest, and most trusted, dot-com music retailers around. Fast forward to 2015, and Kraft Music is one of the Milwaukee Business Journal's Fastest Growing Firms award winners. We're listed as one of the Top 25 Music Retailers in the United States, named by Music Trades. We have also been the feature of several articles in The Business Journal, Music Trades, and Music Inc as the company has continued to show tremendous growth. Over the years, Kraft Music has earned many awards, including 10 Best Music Retailers, Professional Dealer of the Year and Outstanding Dealer of the Year from the press and vendors. Kraft Music is located near Milwaukee, Wisconsin. Our Midwest distribution center is centrally located to both coasts. 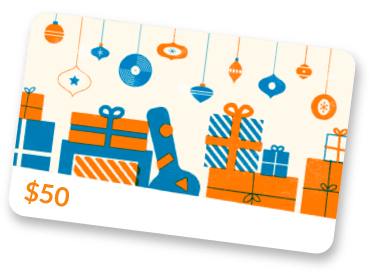 We invite you to join the thousands of musicians and hobbyists who have chosen Kraft Music as their music technology store.